With shipping costs on the rise, it’s important to us to continue to provide great savings and service to you. 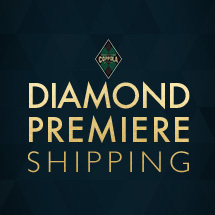 So we’d like to invite you to experience our brand new Diamond Premiere Shipping! 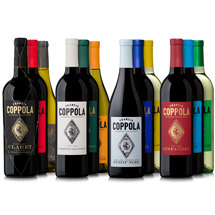 For just $69 a year (plus tax), our Diamond Premiere Shipping includes UPS Ground Shipping on any order placed online or in the tasting room at both Francis Ford Coppola Winery and Virginia Dare Winery for an entire year! When you sign up for Diamond Premiere Shipping, no matter how big or small your order is, UPS Ground shipping* is included. Perfect for that just because gift, or to stock up on your favorites. 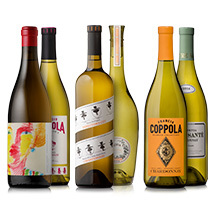 No minimum purchase is required to make all your wine wishes come true. 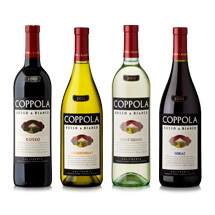 *Not eligible on Wine Family or Lost Colony Society shipments. Not available for use for shipments to Alaska or Hawaii. No other discounts apply. Click here for terms and conditions.